The joy of a beautifully lit home can quickly turn to frustration when a burned-out bulb or two render an entire string of lights dark. A multimeter provides a convenient way quickly to find the dead bulbs that will need to be replaced in order to restore your holiday decorations to their fully lit glory. Unplug the string of lights that is exhibiting the problem. 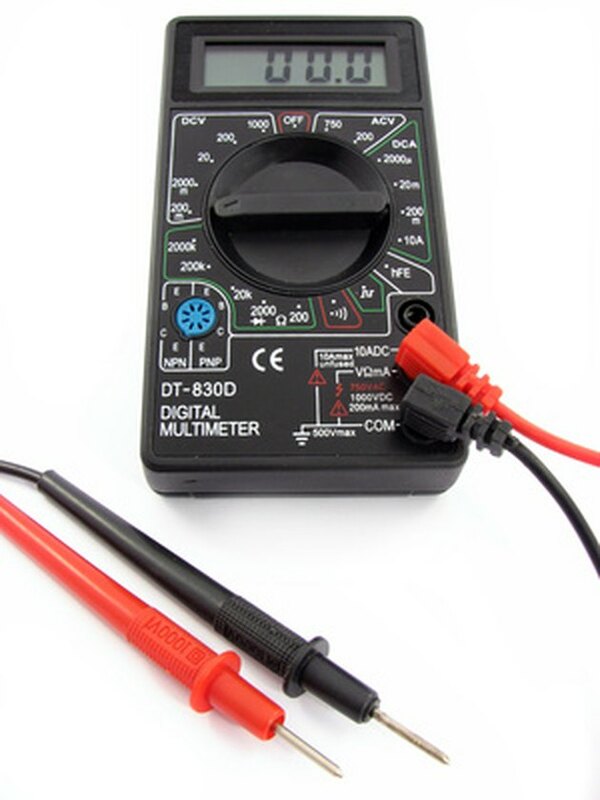 Set up your multimeter to measure resistance according to the manufacturer's instructions. You will end up with two probes plugged into the meter. Insert one of the multimeter probes into one of the holes in the female socket. Touch the other multimeter probe to one of the prongs on the male plug. Observe the resistance reading on the multimeter. If it is not zero, touch the probe to the other prong on the plug. If either prong has resulted in a zero resistance reading, the circuit is working end-to-end. If the test indicates a broken circuit, visually look for damage and retest after a repair has been made. Open the fuse access compartment located on the male electrical plug. Touch the two multimeter probes to opposite ends of the fuse. Observe the multimeter resistance reading. If the reading is zero, the fuse is good, otherwise replace it and plug in the lights to determine if further tests are necessary. Unplug the lights if the problem persists and then move on to the process of testing individual light bulbs. 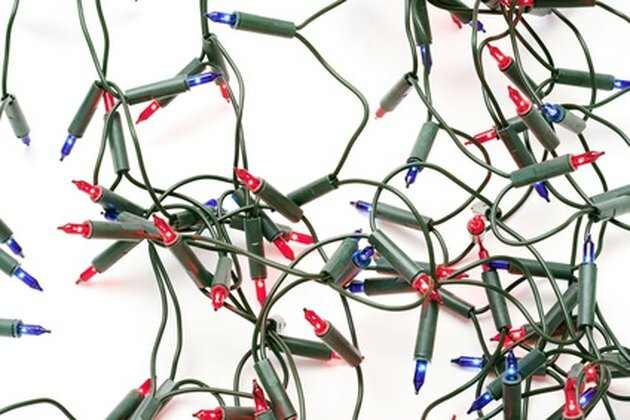 Begin at one end of the darkened string of Christmas lights and carefully remove the first bulb. Locate the two wires on the bottom of the bulb and touch a probe to each wire, ensuring that the probes do not touch each other or more than one wire. The multimeter will emit a low voltage through the probes that will test whether the bulb has been burned out. Check the multimeter reading to determine if there is resistance. A resistance value of zero indicates a functioning light bulb. Discard the bulb if a non-zero value is recorded. Insert either a new bulb or the original working bulb back into the tested position. Move on to the next socket and repeat the steps until the string is once again fully lit.